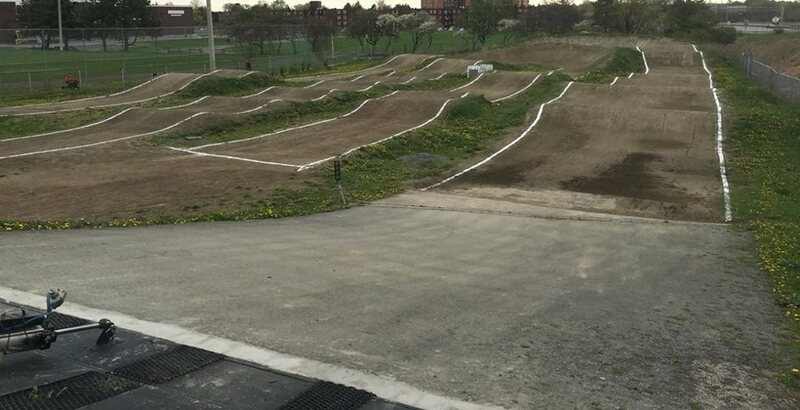 Welcome new riders to Ottawa BMX! Be it you found us by accident, or as a result of seeing one of our posters, we’d like to take a moment to welcome you all to Ottawa BMX Association. You may have a number of questions and we hope to answer as many as possible in our FAQ’s, however, if afterwards you still have questions, please feel free to contact us by EMail, Twitter or on Facebook. A bicycle – any BMX type and size will do, but it is recommended that you start with one that has no more than a 20″ wheel diameter – as that is the allowable limit in the Novice class. Make sure all bolts are tight – especially your axle and stem bolts. Remove any freestyle type axle pegs. All reflectors/brackets must be removed for safety purposes. You will eventually need a numberplate. You will be provided a temporary numberplate with your membership purchase. A helmet. The ABA recommends a full-face helmet. Any enclosed shoe is sufficient. Skateboard style shoes are suggested. The best part yet…. Your first time is free! That’s right. If you’ve never raced before your first race is free for a value up to $10 (Single point races). All you need to do is print and complete the One Day Membership Application and bring it to the track with you for your first race during the posted registration times. This entitles you to a free single day BMX Canada membership for your free race day. Upon registration you will be assigned a 3 digit temporary number for that race only. Should you decide to purchase a full annual BMX Canada membership you will eventually be assigned your official number which you should have clearly displayed on your number plate. You want to keep racing? Great! Now that you’ve tried the sport and are now hooked, all you need to do is complete our Ottawa BMX Membership Application form as well as the BMX Canada Membership Application (available at registration) and bring it to the track at the next race day, or if it is during the off season, send them to us with payment by mail. We’ll forward the BMX Canada form along with the appropriate portion of their fee to BMX Canada for processing. Afterwards you will receive your membership form and assigned number in the following weeks. Now that you have everything ready, we`ll see you at the track!